I’m seriously in love with this dress. Not only is the fabric super comfortable and flowy, it is the perfect length and easily transitions from season to season! I wore it a few months ago for the summer, but have transitioned it to Fall with my cargo vest from F21, and a glitzy, adorable clutch from Glamplaza! (If you want one of your own, you can enter my Glamplaza giveaway that I’ll be posting next week!) Now for our awesome thirteenth edition of Spotlight Weekly! 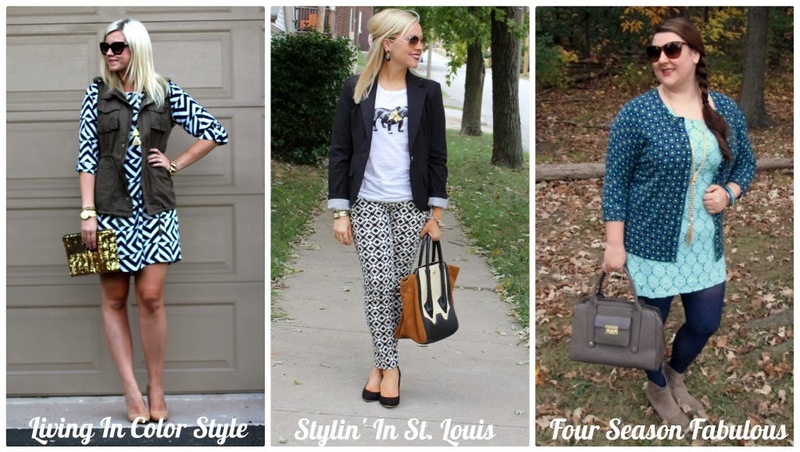 This week’s Spotlight is Rachel from Four Season Fabulous! Make sure to stop by her blog to see it, and to say hello! 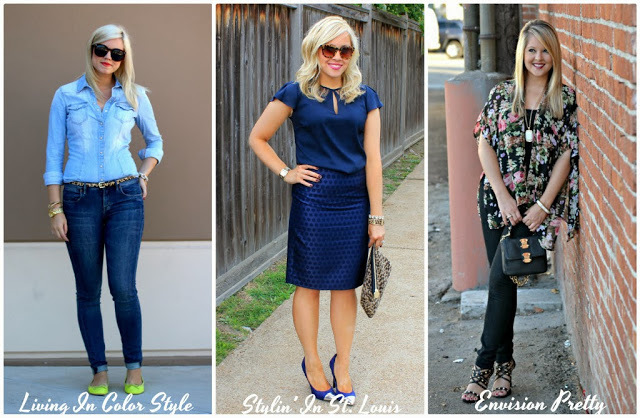 NEXT WEEK: Next week our Spotlight Weekly theme is…BOOTS/BOOTIES. See you next Thursday 🙂 Thank you so much for reading, and for linking up! Gorgeous dress. Love the pattern. Such a cute and interesting dress! That is such an unique combo: that dress and that jacket. But it looks so damn cool : Well done! 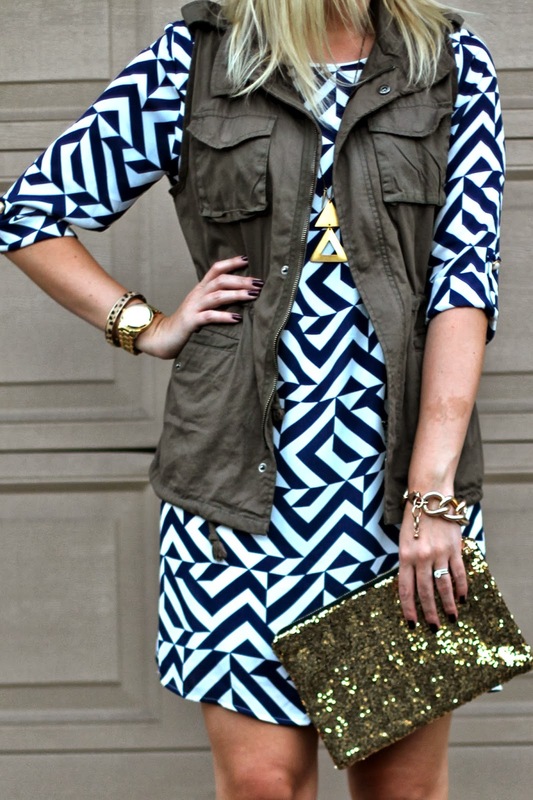 I like the combination of a feminine dress with a military jacket. I'm beyond obsessed with your dress. 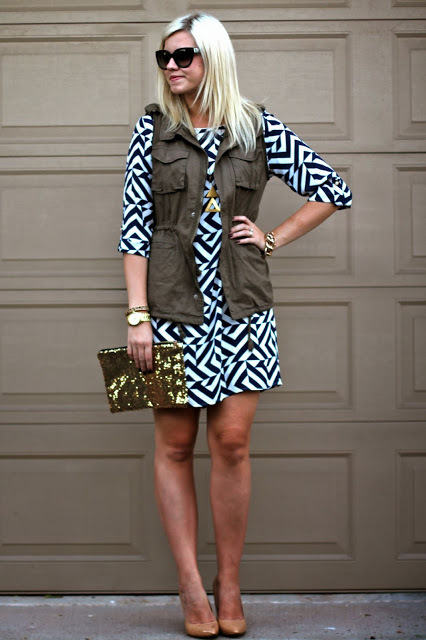 The geometric print is amazing–and I love the vest over it! Wow – that print and color is amazing on your dress! I honestly can't tell if I like yours or Jacqueline's outfit more. They are both so spot on in the details. Work it girl! 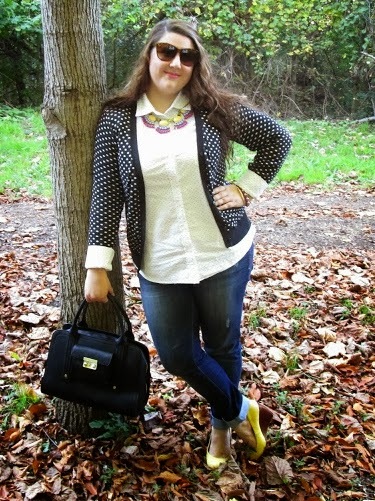 Just love the way you have brought together the entire look. Shop the clutch now and get 40% off by using code FAMILY40. love the vest over the graphic print dress. Can't wait to try that myself! thanks for the inspiration and for hosting. Your dress is super cute i love the outfit. You always dress so cute! 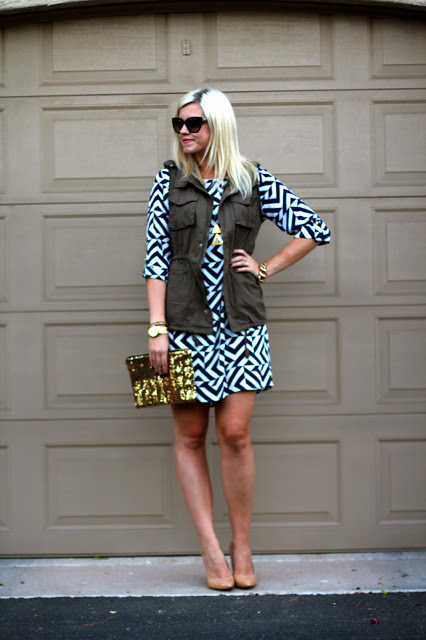 Sweet dress and chic military jacket – love!